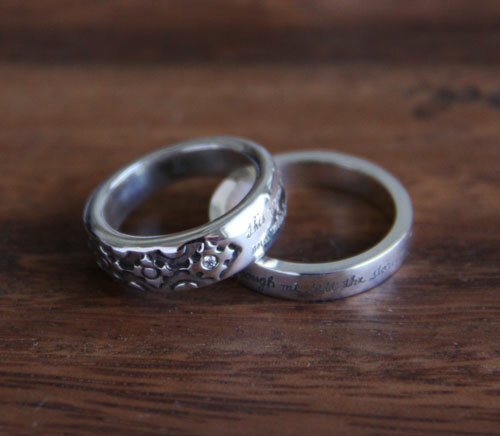 Adagio and Stella are often used as wedding rings. I am doing a small group of wedding rings for the holidays and it has been a fun process, especially working on some interesting takes on the paired engagement/wedding combo. There are an infinite amount of choices out there and while knowing that is a bit daunting, I am also excited to add my voice to this intensely meaningful, and highly endowed category. I want to see them soon! !